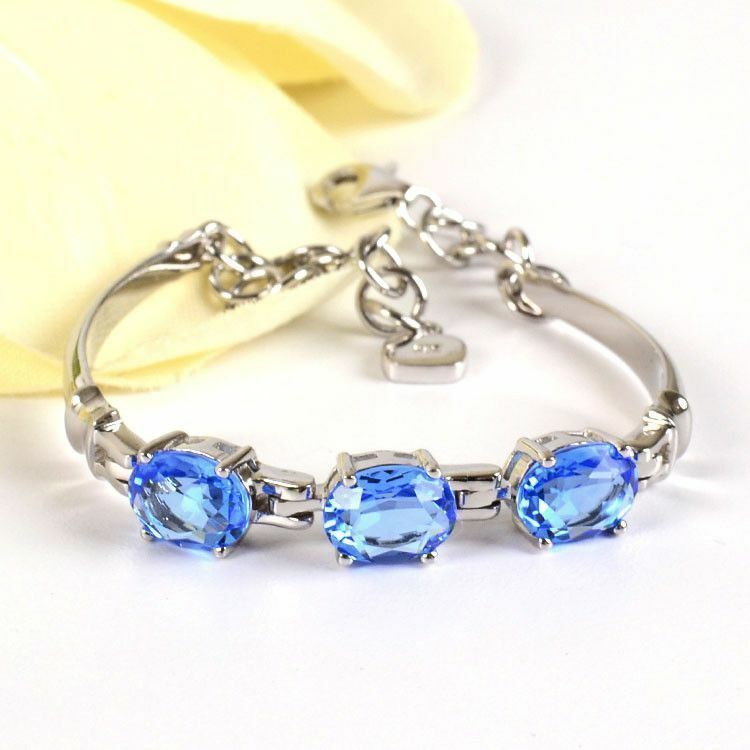 This beautiful blue topaz bracelet features 3 faceted oval stones, in a classic 4 prong setting. 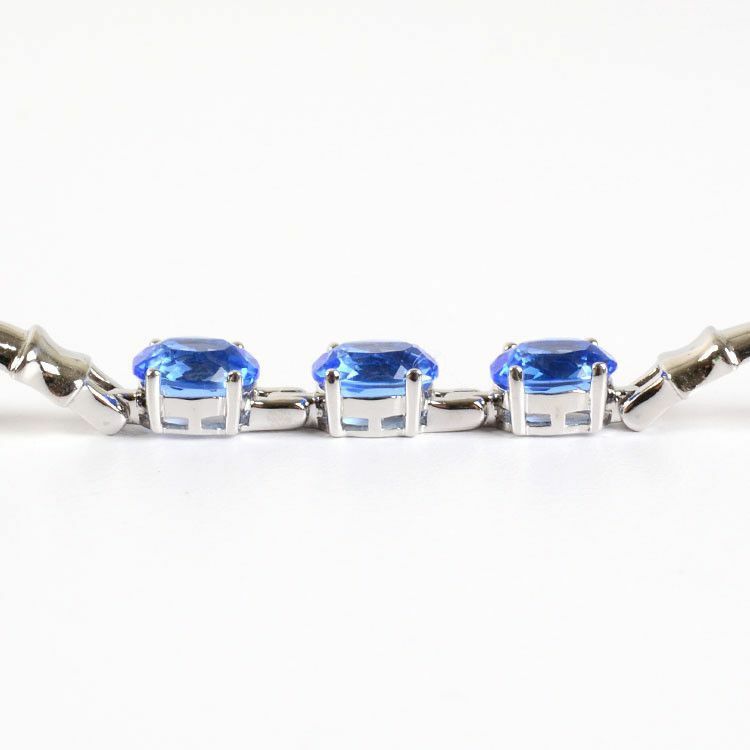 Each stone is Approximately 3/8" x 1/4" and shines effortlessly. 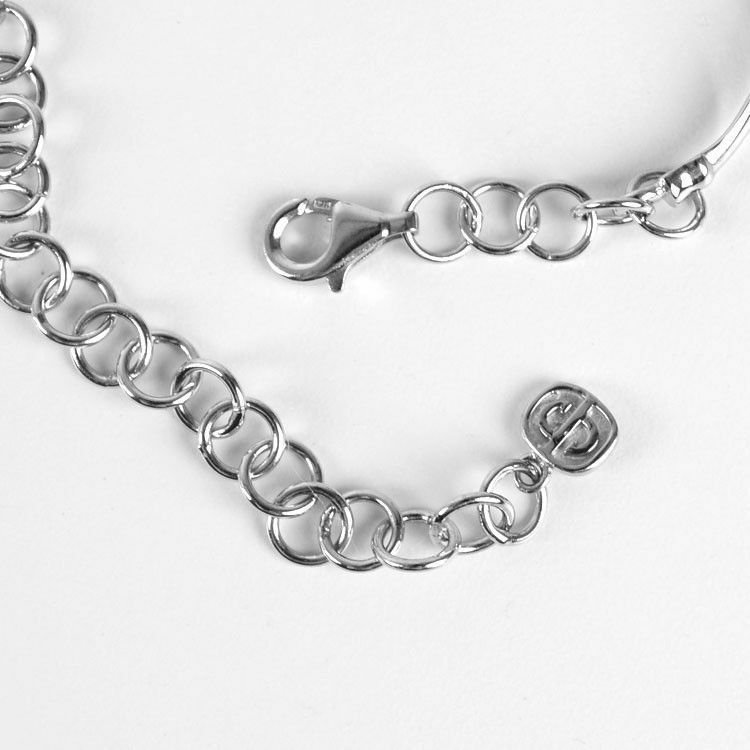 This 5 3/4" to 8" bracelet has curved sterling silver for added comfort. A lobster claw clasp completes this bracelet. Bracelet measures 5 3/4" to 8"
Stones measure about 3/8" x 1/4"